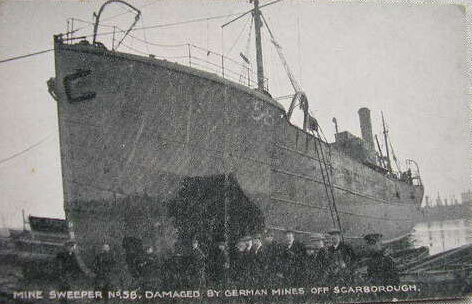 Many of Scarborough's mariners would have been recruited into the RNPS during WW1 & WW2. They mainly worked on minesweepers and many lives were lost. SPARROW (2) (ex-JOSEPHINE I), Admiralty trawler, minesweeper, Adty No 58. Built 1908 Goole SB, 266grt, purchased 4.09. Armament: 1-12pdr. One of six trawlers purchased pre-war as minesweeping training ships for men of the fishery reserve, later the Auxiliary Patrol. Based at Portsmouth 1914. On outbreak of war, allocated to the patrol organisation as minesweeper. Renamed JOSEPHINE I 1.20. Sold 5.20 as ORION. Registered charity No 1144532. Company No 06755717.